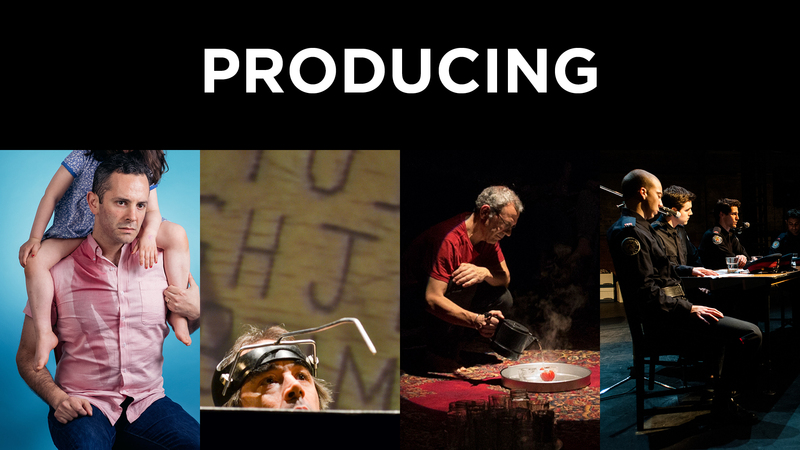 We are thrilled to announce The Theatre Centre’s Programming for the upcoming year! As we enter our third year in our new home, we are fully embracing what it means to be a community and cultural hub. With a full slate of new works in development, Residency artists continuing their projects, a number of co-productions and new partnerships, presentations of some of the best artists from Canada and around the globe, and many new and continuing community initiatives, we are truly excited for the year ahead. Please read on for all the info and stay-tuned as more details are announced. The Theatre Centre’s Residency Program is at the core of our activity. 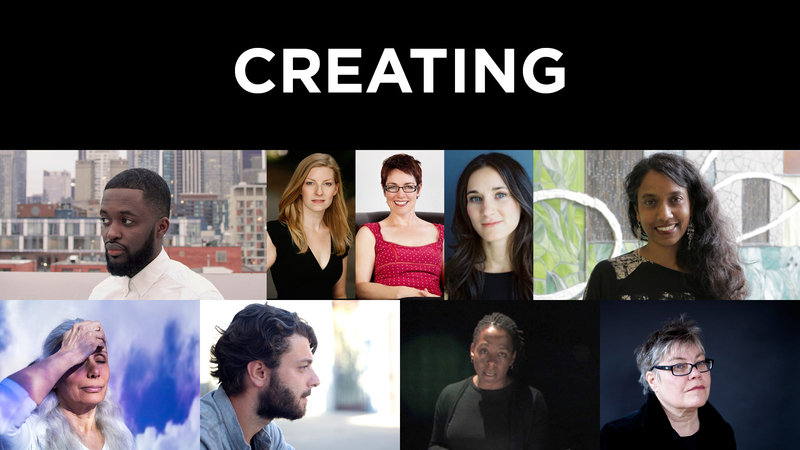 A structured two-year program provides groups/artists with the necessary space, funding, and mentorship to craft ideas still in their infancy into finished products that are both provocative and innovative. 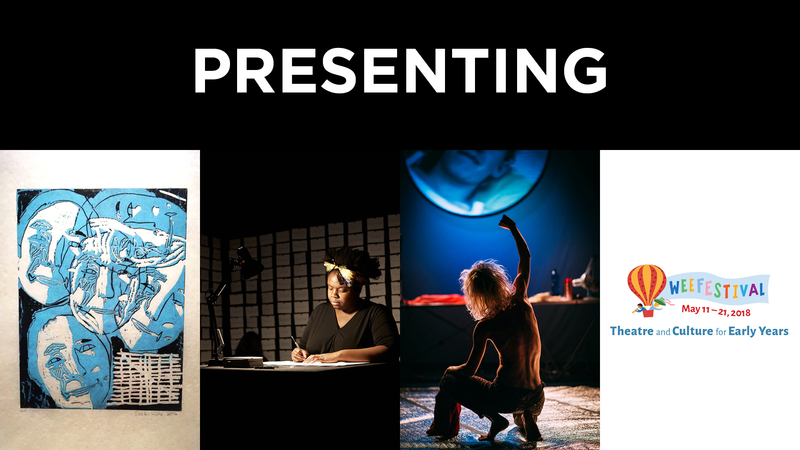 Currently in Residency at The Theatre Centre: Ian Kamau (Loss); Hannah Moscovitch, Maev Beaty, Ann-Marie Kerr (Secret Lives of a Mother); and neurologist-in-residence Suvendrini Lena (On Every Corner a Terrorist). Also in development at The Theatre Centre: Prophecy Fog, created by Nightswimming’s Playwright in Residence Jani Lauzon (originally developed through The Theatre Centre’s Tracy Wright Global Archive); Malignant Metaphor, by The Theatre Centre’s Playwright in Residence (and creator/performer of Sea Sick) Alanna Mitchell; The Long Doorway, created by interdisciplinary artist Deanna Bowen (in development with Mercer Union); Waves, an immersive promenade piece about immigration, created by Daniele Bartolini (in partnership with Istituto Italiano di Cultura); and This is the Point (Ahuri Theatre), which The Theatre Centre is re-investing in and continuing to develop for a second production in the building before setting out on tour. We are also excited to announce we are now accepting two new Residency artists. Click here for the call for submissions. Theatre Centre productions this year will include Adam Lazarus’ controversial Daughter (Co-produced by Quiptake Theatre and The Theatre Centre with Pandemic Theatre); 40 Days and 40 Nights, a new work stemming from the Tracy Wright Global Archive by Daniel Brooks and Kim Collier (Co-produced by The Theatre Centre, Electric Company, and Necessary Angel); Liza Balkan’s Out the Window, which was first developed at The Theatre Centre in 2012 and is the first co-production of The Residents Project (The Theatre Centre’s new partnership with Luminato Festival); and of course, This is the Point, returning for a limited engagement in December. Stay tuned for ticketing information. The Theatre Centre will also be presenting a number of works this year from Canadian and international artists. Embassy of Imagination (Facilitated by Patrick Thompson and Alexa Hatanaka of PA System) will feature works created by youths from Kinngait in Cape Dorset, focusing on printmaking practice. 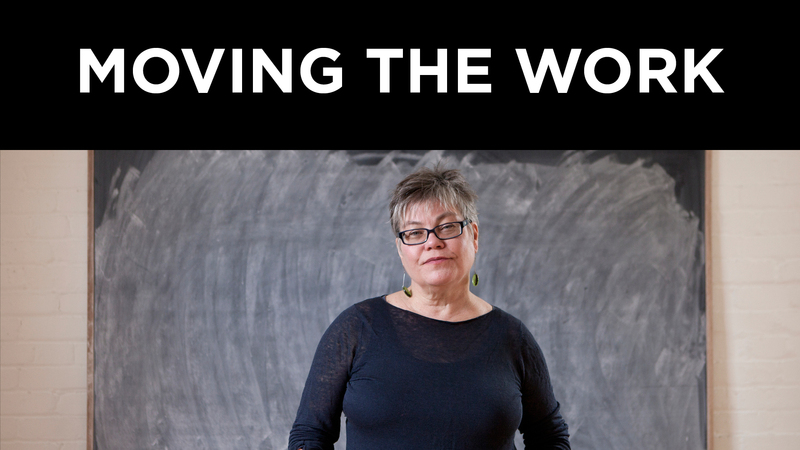 Once again, The Theatre Centre will be partnering with SummerWorks Performance Festival to present Progress Festival, an international festival of performance and ideas, collectively curated by a number of Toronto based companies. As part of Progress, The Theatre Centre is thrilled to be bringing Motus’s international sensation MDLSX to Toronto following stops at PuSh International Performing Arts Festival and High Performance Rodeo. We are also partnering with British Council to bring some of England’s most exciting live art makers to Toronto, including Selina Thompson’s RaceCards, which will also be at Progress Festival. Finally, we will once again be home to the Wee Festival, Theatre Direct’s international arts festival dedicated to early childhood, where we will also be presenting an international work to be named at a later date. Sea Sick, which was developed at The Theatre Centre and opened the new building in 2014, has toured non-stop since then across Canada and the globe. This summer, the team will take the show on tour to the Darwin Festival in Australia followed by a full Ontario tour in the fall in collaboration with Ontario Presents. Here at The Theatre Centre we are convinced that resources go further when you share them, a philosophy that informs our long-term relationship with Why Not Theatre, and the continued support of their RISER Project. We also partner with other arts and community organizations to offer space and support for their own programming and initiatives. For the third year, we are proud to host Volcano Theatre’s Conservatory and this year we will be launching a new partnership with Workman Arts to host a three-day conference. Eleven years ago we teamed up with City of Craft and every December we host the city’s best crafters and artisans over a three-day event, which sees over 4000 people visit our home. We also highlight the work of visual artists year round through Side Streets (in partnership with City of Craft), two gallery spaces, and the Objectorium (all programmed by our Manger of Artist and Community Activation Myung-Sun Kim). We believe in sharing our public space with our neighbours. This year, we are launching a new pilot Condo Project to engage local residents from one condominium in social and cultural activities (with support from the Toronto Arts Council). We have also launched a Newcomer Initiative where we welcome people to Toronto, provide them with a community connection, and help them gain employable skills as they build their new lives in Canada. We are currently working with a Syrian newcomer in the Café, and have hired an accountant from Aleppo, as a financial coordinator. Our famous Community Meals are the epitome of this sharing philosophy and it is a highlight for us every month to invite friends and neighbours into the cafe to share a delicious, homemade, low-cost meal. Looking forward, we are excited to keep our cafe/bar open even longer by offering more late-night events (programmed by our Cafe/Bar Manager & Curator liza paul), including comedy nights, roof-top music events, and of course, cocktail parties. As you can see, we have lots in the works for the upcoming year. 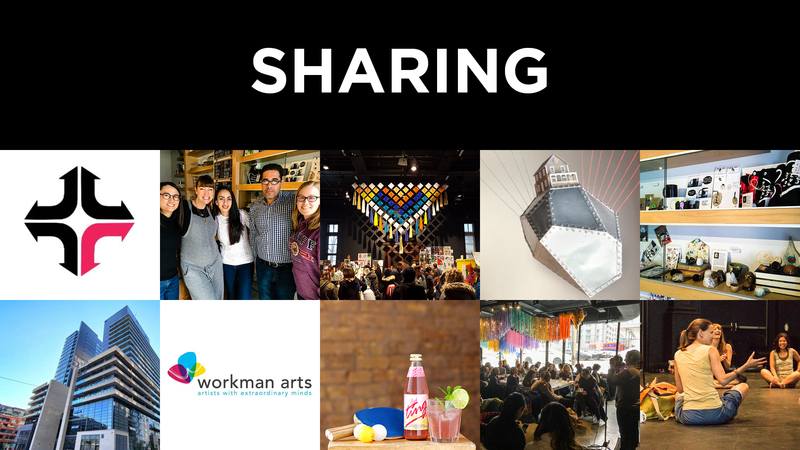 We are so excited to be working with all of these amazing artists, companies, and community members and to share this work with you. We hope to see you here! A storytelling show about relationships and revenge.